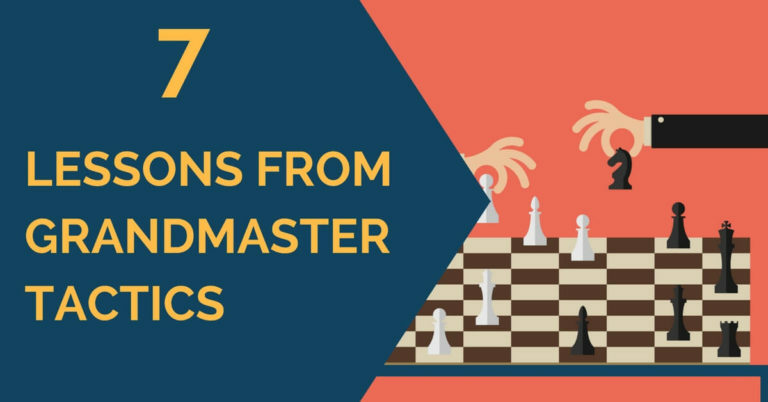 Today we will go over 10 most important tactical techniques that every chess player must know. 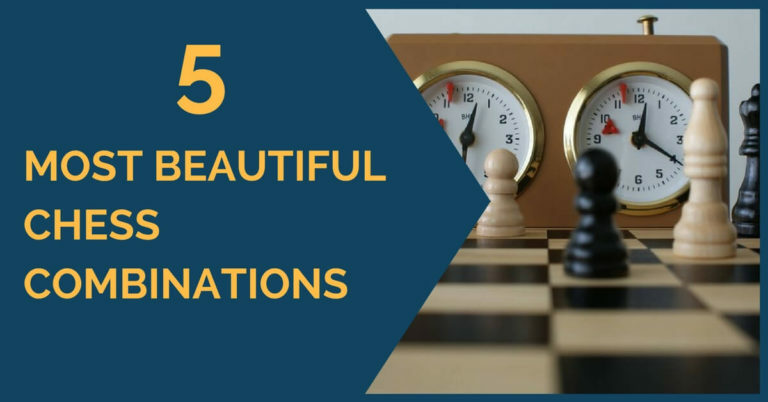 It is a part of the training process to learn about each of these techniques and to be able to apply them in your own games. Once you understand these things I suggest solving tactics and playing practice game to put these concepts into work. White just played h2-h3 to create an escape square for the King. This is a common technique, a prophylaxis move, played to avoid getting checkmated on the back rank. When your king is castled with no pieces guarding the back rank, you should sense danger and create an escape square. This is a good habit, it will save you tons of games. This is what happens if the king has no escape squares. Always remember to keep your king safe. Skewer is a combination which occurs when one piece attacks two of the opponent’s pieces, lined up on a single rank, file or diagonal. The pieces are lined up in such a way that a more valuable piece is attacked first. Most likely that piece will retreat exposing a less valuable piece, which will be captured in the following move. In this example, king is at check and must move out of the way, exposing the rook. A pin is very similar to a skewer, accept that in this configuration the less valuable piece is attacked first. Pin temporarily disables the weaker piece. It cannot move because otherwise a more valuable piece will get exposed and captured. In this example, the rook cannot move at all, otherwise the king will be exposed. There are exceptions however, when the pinned piece can move giving up a stronger piece for one or another reason. That can happen, for example, to capture more material or to checkmate an opponent’s king. You should watch out for both pins and skewers during the game. A fork occurs when a piece attacks two or more opponent’s pieces at the same time. 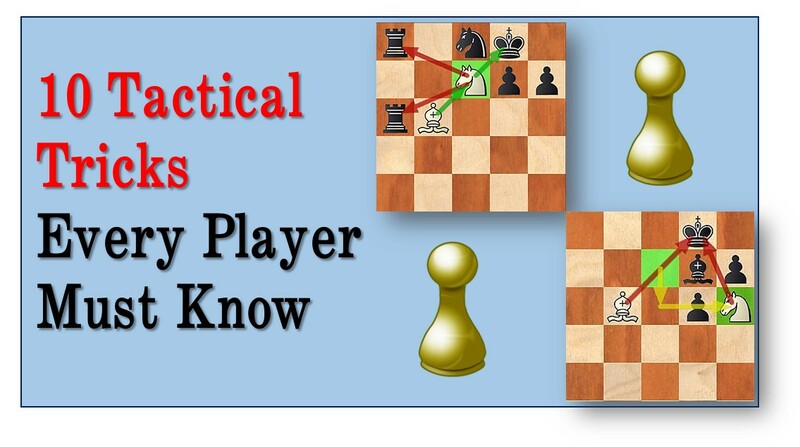 It is a very powerful technique, that can be used to win a piece or a pawn. A royal fork is a fork on the king and queen. One way or another the queen will get captured since the king needs to step away from check. The forks with checks are especially powerful, since they are forcing the king to move away leaving the other piece to be captured. In order to be proficient at findingtactics such as forks, smothered mates, checkmates, pins, and skewers you need to solve problems on daily bases. If you are aiming for a serious progress,consistency is the key. Sure you may skip a day or two here and there, but the point is to work on tactics at least for 20 minutes a day everyday. Once you’re doing that, you should throw positional training, endgames training, and attacking training into the equation and the success is almost guaranteed for you. 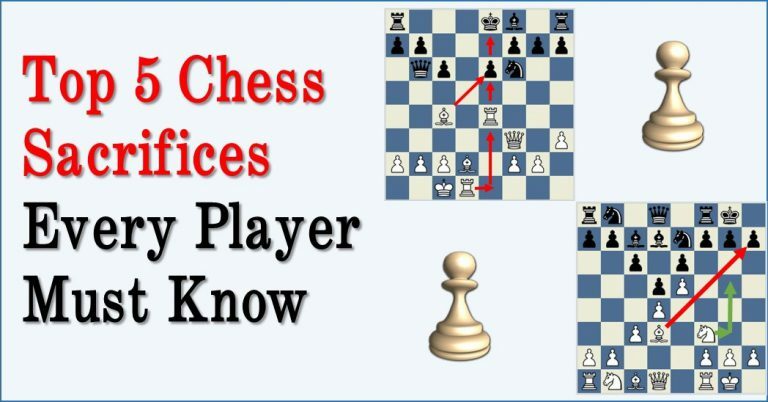 Things can be a little confusing though, but don’t worry we tried to make learning chess as easy as possible, by creating astep-by-step, day-by-day training program that will help to take your chess to the next level. A double check is combination when one piece (the knight) steps out checking the opponent’s king, in such a way that the other piece also checks the king (discovered check). This check is a powerful one, since there is usually no way to capture the checking pieces or block the check by another piece. The only way to escape from this check is to move the king away. A double attack is a combination when one piece attacks two different targets at the same time. On the diagram below, the queen attacks the rook on b1 as well as threatens mate-in-1 on e8. The rook is lost and so is the game. A smothered mate is a type of checkmate which occurs when the king has nowhere to go, it is smothered by its own pieces. if it is the case, the knight can give a check to the king, and it will be fatal since there are no escape squares. You need to make sure that the knight cannot be captured though. A windmill is a very powerful technique that occurs when the knight steps away to capture a piece exposing the bishop check. Then the knight comes back to the same square with a check and more material can be captured on the next move. The king should not have any escape squares for a windmill to work. In the example below, white is able to capture both of the rooks by using a windmill technique.